A fandom is a subculture composed of fans characterized by a feeling of empathy and camaraderie with others who share a common interest. Fans typically are interested in even minor details of the object(s) of their fandom and spend a significant portion of their time and energy involved with their interest, often as a part of a social network with particular practices ; this is what differentiates "fannish" (fandom-affiliated) fans from those with only a casual interest. Most often called simply "fandom" within the community, it can be viewed as a distinct subculture,  with its own literature and jargon; marriages and other relationships among fans are common, as are multi-generational fan families. Jargon is specialized terminology used to define specific words and phrases used in a particular profession, trade, or group. Science fiction fandom started through the letter column of Hugo Gernsback's fiction magazines. Not only did fans write comments about the stories—they sent their addresses, and Gernsback published them. Soon, fans were writing letters directly to each other, and meeting in person when they lived close together, or when one of them could manage a trip. In New York City, David Lasser, Gernsback's managing editor, nurtured the birth of a small local club called the Scienceers, which held its first meeting in a Harlem apartment on December 11, 1929. Almost all the members were adolescent boys. Around this time a few other small local groups began to spring up in metropolitan areas around the United States, many of them connecting with fellow enthusiasts via the Science Correspondence Club. In May 1930 the first science-fiction fan magazine, The Comet , was produced by the Chicago branch of the Science Correspondence Club under the editorship of Raymond A. Palmer (later a noted, and notorious, sf magazine editor) and Walter Dennis. In January 1932, the New York City circle, which by then included future comic-book editors Julius Schwartz and Mort Weisinger, brought out the first issue of their own publication, The Time Traveller , with Forrest J Ackerman of the embryonic Los Angeles group as a contributing editor. David Lasser was an American writer and political activist. 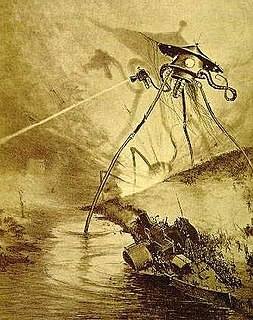 Lasser is remembered as one of the most influential figures of early science fiction writing, working closely with Hugo Gernsback. He was also heavily involved in the workers’ rights struggles of the Great Depression. The Comet was an American science fiction fanzine, the first of its kind. The Science Fiction League was one of the earliest associations formed by science fiction fans. It was created by Hugo Gernsback in February 1934 in the pages of Wonder Stories, an early science fiction pulp magazine. Gernsback was the League's "Executive Secretary', with Charles D. Hornig its "Assistant Secretary". The initial slate of "Executive Directors" included Forrest J. Ackerman, Eando Binder, Jack Darrow, Edmond Hamilton, David H. Keller, P. Schuyler Miller, Clark Ashton Smith, and R. F. Starzl. The Los Angeles Science Fantasy Society, Inc., or LASFS, is a science fiction society that meets in the Los Angeles area. The current meeting place can be found on the LASFS website. The Philadelphia Science Fiction Society (PSFS) is a science fiction club in Philadelphia, Pennsylvania. PSFS is the second oldest group in science fiction fandom and hosted what is considered by some to be the first science fiction convention. Anyone living in the greater Philadelphia area and interested in science fiction, fantasy, horror, whether written or on TV or in the movies; SF, fantasy, and horror art; gaming, board games or video games; comic books/graphic novels; and related arts is welcome. Soon after the fans started to communicate directly with each other came the creation of science fiction fanzines. These amateur publications might or might not discuss science fiction and were generally traded rather than sold. They ranged from the utilitarian or inept to professional-quality printing and editing. In recent years, Usenet newsgroups such as rec.arts.sf.fandom,  websites and blogs have somewhat supplanted printed fanzines as an outlet for expression in fandom, though many popular fanzines continue to be published. Science-fiction fans have been among the first users of computers, email, personal computers and the Internet. Organized fandom in Sweden ("Sverifandom") emerged during the early-1950s. The first Swedish science fiction fanzine was started in the early 1950s. The oldest still existing club, Club Cosmos in Gothenburg, was formed in 1954,  and the first Swedish science-fiction convention, LunCon, was held in Lund in 1956. In 1963 the first Trieste Festival of Science Fiction Cinema took place, anticipating the fist conventions as an opportunity for a nationwide social gathering. Informal meetings were organized in Milan, Turin and Carrara between 1965 and 1967. In 1972, the first European convention, Eurocon, was organized in Trieste, during which an Italia Award was also created. Eurocon was back in Italy in 1980 and 2009 (in 1989 a Eurocon was held in San Marino). As a community devoted to discussion and exploration of new ideas, fandom has become an incubator for many groups that started out as special interests within fandom, some of which have partially separated into independent intentional communities not directly associated with science fiction. 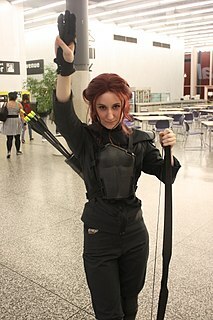 Among these groups are comic-book fandom, media fandom, the Society for Creative Anachronism, gaming, and furry fandom,  sometimes referred to collectively as "fringe fandoms" with the implication that the original fandom centered on science-fiction texts (magazines and later books and fanzines) is the "true" or "core" fandom. Fandom also welcomes and shares interest with other groups including LGBT communities, libertarians, neo-pagans, and space activist groups like the L5 Society, among many others. 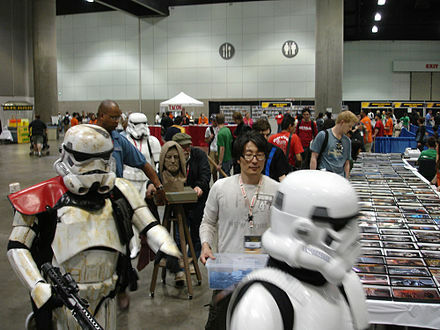 Some groups exist almost entirely within fandom but are distinct and cohesive subcultures in their own rights, such as filkers, costumers, and convention runners (sometimes called "SMOFs"). Fandom encompasses subsets of fans that are principally interested in a single writer or subgenre, such as Tolkien fandom, and Star Trek fandom ("Trekkies"). Even short-lived television series may have dedicated followings, such as the fans of Joss Whedon's Firefly television series and movie Serenity , known as Browncoats. Science fiction and fantasy fandom has its own slang or jargon, sometimes called "fanspeak" (the term has been in use since at least 1962  ). In Robert Bloch's 1956 short story, "A Way Of Life",  science-fiction fandom is the only institution to survive a nuclear holocaust and eventually becomes the basis for the reconstitution of civilization. The science-fiction novel Gather in the Hall of the Planets, by K.M. O'Donnell (aka Barry Malzberg), 1971, takes place at a New York City science-fiction convention and features broad parodies of many SF fans and authors. A pair of SF novels by Gene DeWeese and Robert "Buck" Coulson, Now You See It/Him/Them and Charles Fort Never Mentioned Wombats are set at Worldcons; the latter includes an in-character "introduction" by Wilson Tucker (himself a character in the novel) which is a sly self-parody verging on a self-tuckerization. First Fandom is an informal association of early, active and well-known science fiction fans. Mike Glyer is both the editor and publisher of the long-running science fiction fan newszine File 770. He has won the Hugo Award 11 times in two categories: File 770 won the Best Fanzine Hugo in 1984, 1985, 1989, 2000, 2001 2008, and 2016. Glyer won the Best Fan Writer Hugo in 1984, 1986, 1988, and 2016. The 1982 World Science Fiction Convention (Worldcon) committee presented Glyer a special award in 1982 for "Keeping the Fan in Fanzine Publishing." File 770 is a long-running science fiction fanzine, newszine, and blog site published/administered by Mike Glyer. It is named after the legendary room party held in Room 770 at Nolacon, the 9th World Science Fiction Convention in New Orleans, Louisiana, that upstaged the other events at the 1951 Worldcon. Arthur Wilson "Bob" Tucker was an American theater technician who became well known as a writer of mystery, action adventure, and science fiction under the name Wilson Tucker. The First World Science Fiction Convention (Worldcon) was held in the Caravan Hall in New York from July 2 to July 4, 1939, in conjunction with the New York World's Fair, which was themed as "The World of Tomorrow". The convention was later named "Nycon I" by Forrest J Ackerman. The event had 200 participants. The 62nd World Science Fiction Convention (Worldcon) was Noreascon 4, which was held in Boston, Massachusetts, from September 2–6, 2004. The venues for the 62nd Worldcon were Hynes Convention Center, Sheraton Boston Hotel and Boston Marriott Copley Place. The convention was organized by Massachusetts Convention Fandom, Inc., and the organizing committee was chaired by Deb Geisler. Eastercon is the common name for the British national science fiction convention. From 1948 until the 1960s, the convention was held over the three-day Whitsun bank holiday at the end of May. It has taken place over the four-day Easter holiday weekend ever since then. The pre-1960s conventions are generally considered to have been "Eastercons" even though they were not held over Easter. SMOF is an acronym which stands for "Secret Master(s) Of Fandom" and is a term used within the science fiction fan community. Its coining is generally attributed to long-time science fiction fan and author Jack L. Chalker. The 53rd World Science Fiction Convention (Worldcon), Intersection, was held in Glasgow, Scotland from 24–28 August 1995. The event was also the Eurocon. The venues for the 53rd Worldcon were the Scottish Exhibition and Conference Centre (SECC) and the nearby Moat House Hotel. Parties took place at the Central and Crest Hotels. A(ubrey) Vince(nt) Clarke (1922–1998), often known as Vin¢ Clarke, was a well-known British science fiction fan. The 14th World Science Fiction Convention, also known as NyCon II or NEWYORCON, was held August 31–September 3, 1956, at the Biltmore Hotel in New York, New York, United States. The 47th World Science Fiction Convention (Worldcon), also known as Noreascon 3, was held August 31–September 4, 1989, at the Sheraton-Boston Hotel, Hilton Hotel, Boston Park Plaza, and the Hynes Convention Center in Boston, Massachusetts, United States. Don Ford (1921–1965) was an influential American science fiction fan from Ohio. The Ditmar Award has been awarded annually since 1969 at the Australian National Science Fiction Convention to recognise achievement in Australian science fiction and science fiction fandom. The award is similar to the Hugo Award but on a national rather than international scale. ↑ Bacon-Smith, Camille (2000). Science Fiction Culture. University of Pennsylvania Press. ISBN 0-8122-1530-3. ↑ Allen Glasser, transcribed by Richard Newsome, "History of the Scienceers: The First New York City Science Fiction Club, 1929", republished in Timebinders, lists the founding members as "Warren Fitzgerald, Nathan Greenfeld, Philip Rosenblatt, Herbert Smith, Julius Unger, Louis Wentzler, and myself, Allen Glasser. With the exception of Fitzgerald, who was then about thirty, all the members were in their middle teens." Fitzgerald, an African-American, was the club's first president, "from its start in December 1929 through the spring of 1930." 1 2 3 Iannuzzi, Giulia (2016-01-01). "Electric hive minds: Italian science fiction fandom in the Digital Age". Journal of Romance Studies. 16 (1). doi:10.3167/jrs.2016.160107. ISSN 1473-3536. ↑ Iannuzzi, Giulia; Pagetti, Carlo. "Culture : Italy : SFE : Science Fiction Encyclopedia". www.sf-encyclopedia.com. Retrieved 2019-04-25. ↑ "Giving It Away". Forbes. December 1, 2006. ↑ Jeff Prucher (2007). Brave New Words: The Oxford Dictionary of Science Fiction. Oxford University Press. p. 342. ↑ Baen, Jim. "The Tucker Circle". Jim Baen's Universe. Archived from the original on 12 May 2013. Retrieved 8 January 2012.